Looking to get ahead of the Spring rush to buy a new home? Check out Smyrna Grove, with only 11 remaining opportunities. 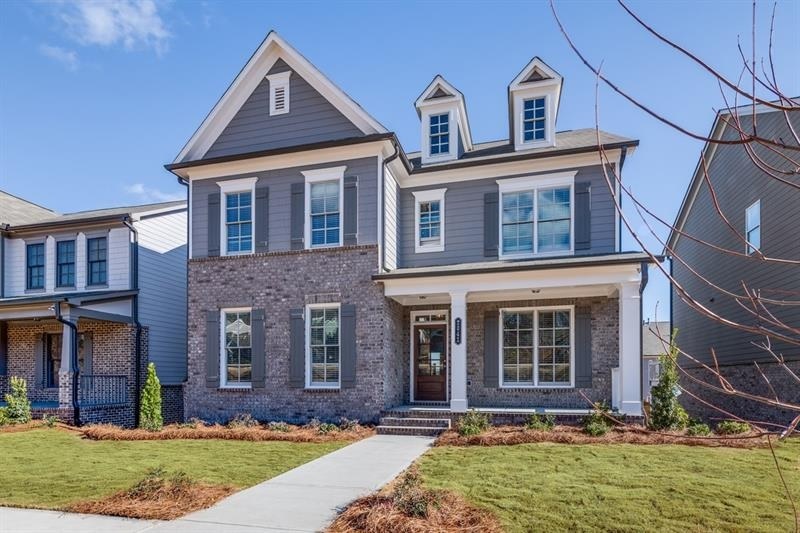 Winner of the 2016 Community of the Year Award, Smyrna Grove is a wonderful new home community located near but not in the direct traffic path of Suntrust Park. Smyrna Grove has just announced that there is ONE 3-Car Garage home remaining that is slated to be completed in February/March 2019. Not quite ready but will be soon? Ten homes with unfinished basements are remaining that are slated to be ready to close between March 2019 to August 2019. Lot Homesite 60 – $548,271 |4 BR, 3 full BA |Juniper Plan-Craftsman style home w/large front porch, 3-car garage, finished flex space, open plan offers huge great room, dining room & guest bedroom on main. Chef’s kitchen with a 36″ cook-top, custom vent hood & large center island! Upstairs you will find the Master Suite, luxury master bath, loft and two additional bedrooms. Home is under construction – ready in January 2019. Juniper-Smyrna Grove – – – Photos represent similar home. Be sure to stop by and see the one remaining decorated model home, The Cypress. The Cypress is one of Smyrna Groves most popular floor plans.